Instead of spending our time with our families in celebrating this Anglo-American/Pagan tradition, we have decided to record a show at what is 4 AM for Andy. That aside, we discuss what is probably the best Gundam show ever made. We were on dapdx, DAWG. This episode of the Anime Graruru is a little bit crazy, not only in that it is an hour long, but also in that it is an attempt to discuss the Anime of 2011. I suppose it did get a little weird throughout this recording, since it is a little bit more raw than AG normally is, but whatever. Aside from that, Anime Graruru, or rather, Area Graruru, is five years old now. So wooot. We talked about so much in this episode, and I suppose that there could be a lot in terms of show notes, but we’re not that into show notes…. but here is the season’s line up pics. In essentially just going through each list randomly, we both reaffirm our belief in the future, but also gain a sense of melancholic frustration in the present. 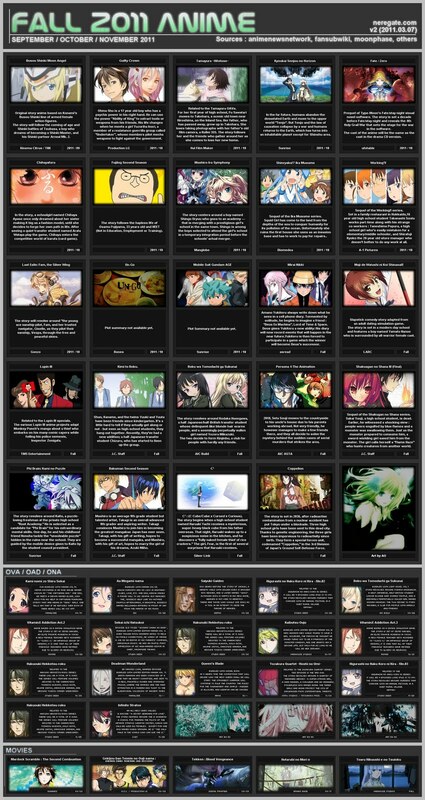 You are currently viewing the archives for December, 2011 at Anime Graruru.